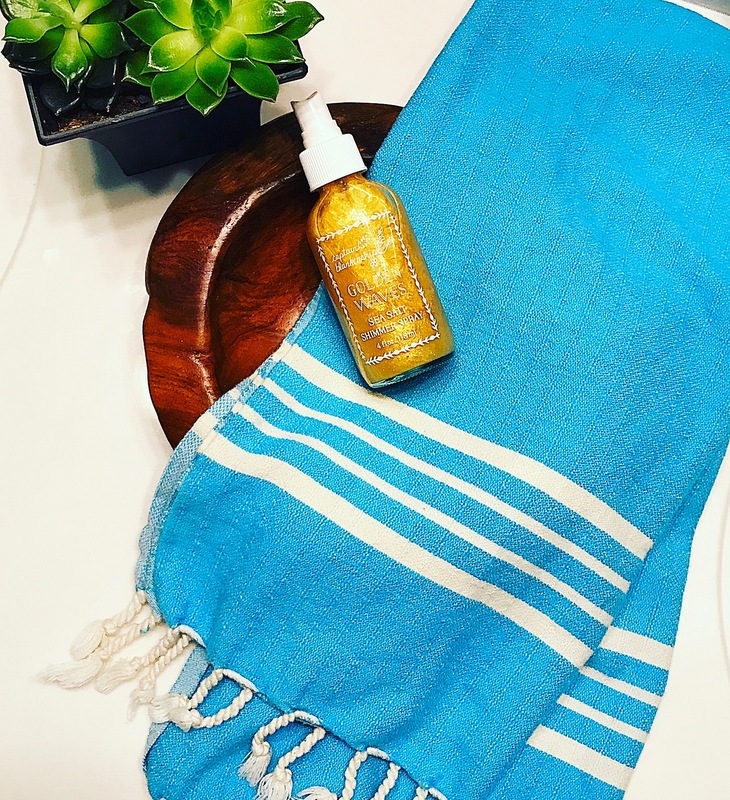 Are you looking for a 100% organic towel that can be used in so many different ways? 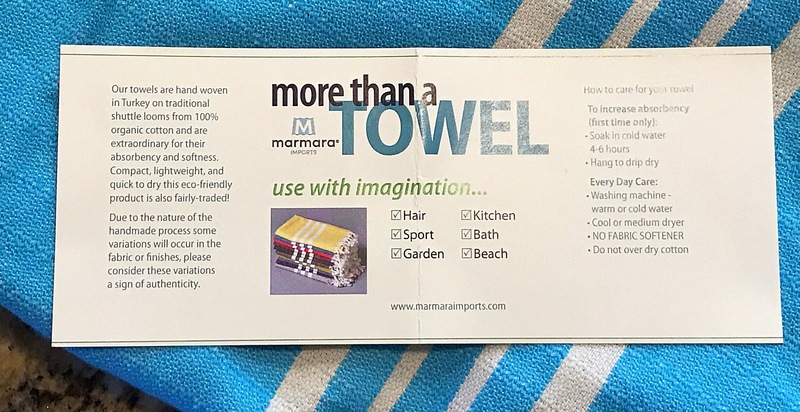 Then look no further because Marmara Imports towels can be used for hair, sport/workout, garden, kitchen, bath, beach, and even as a shawl. To offer exceptional, eco-friendly, fair-trade textiles to the U.S. market and beyond. We support global artisans in their endeavor to sustain not only themselves and their families but also the ancient ways of weaving. 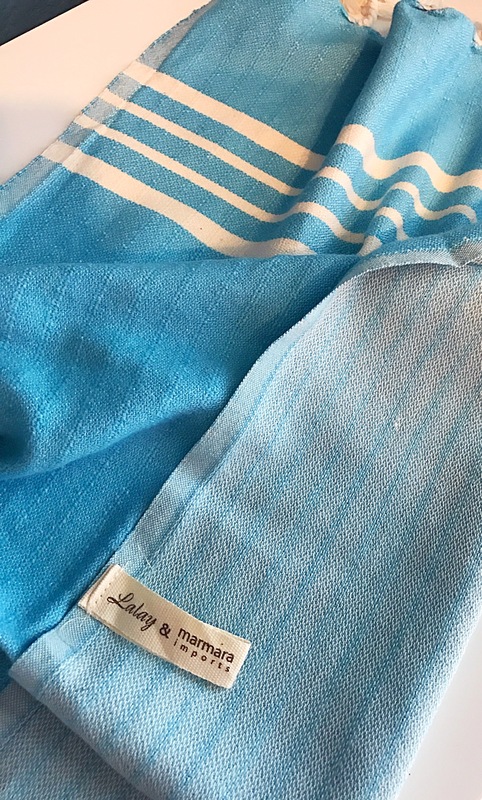 Marmara Imports also offers many products in their shop like: organic beach/picnic towels; table cloths; blankets; kitchen towels; napkins; pillow covers and more. I hope to replace all my conventional products with their environmentally friendly products one day. 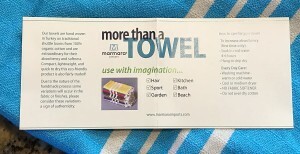 So let’s get to the vibrant wonderful towel they sent me. When the company gives you instructions with their product my advice to you is to read & follow them. 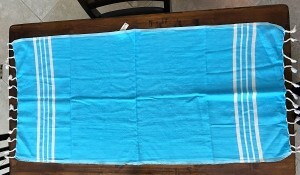 I’m not always the best at reading instructions before I use something, but this is a unique Turkish towel that needs a little extra before the first use to increase absorbency. It’s pretty simple, I just soaked my towel in a big bowl of cold water for about 6 hours, followed by drip dry, then washed (with safe laundry detergent of course). 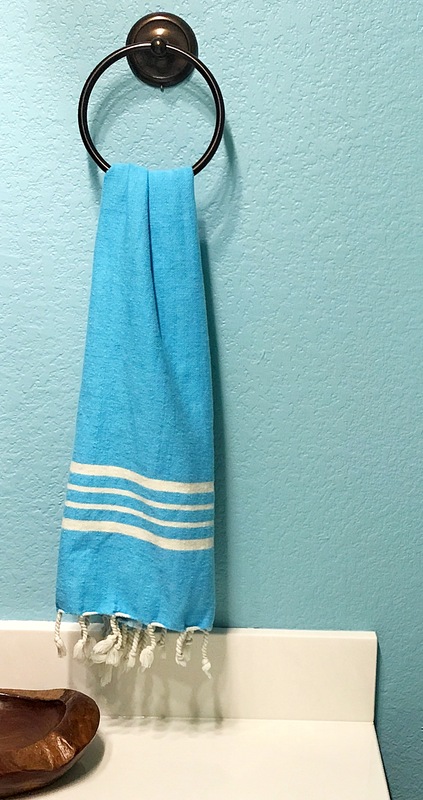 This towel is not only gorgeous, but a game changer for my hair. It doesn’t pull at hair like conventional heavy towels do. I wrap this around my hair right after getting out of the shower. So I can wear it for a while because it truly is lightweight. Plus, it absorbs all the water making my curly hair more manageable and healthy. This towel is so soft, compact and light weight, it’s going on my next trip so I don’t have to be without it. 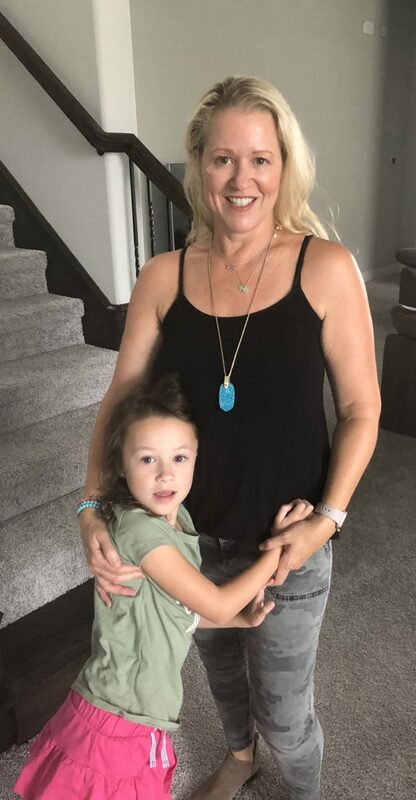 Plus, it’s so important to me that it is made with safe organic cotton, not like conventional cotton that can be taxing on the environment and involves toxin heavy insecticides spraying. 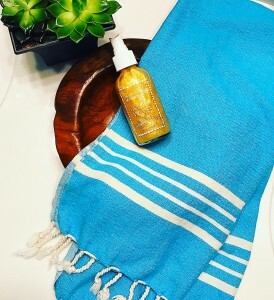 As you can tell I’m so impressed with this beautiful and stylish 100% Turkish organic cotton towel. This is a must have for my hair. Plus with the safe organic cotton, supporting artisans and the environment it is a win win! I can’t wait to add more of their lovely eco-friendly line to our home.